We enjoyed the accommodations immensely. The cabin, Precious Moments, was perfect. This was our second time using Honeymoon Hills and we plan to use them in the future. Our stay at Honeymoon Hills was quiet, peaceful and perfect. Our cabin, Precious Moments, was cozy, clean and romantic. This cabin was also in a great location. We enjoyed the awesome views from the hot tub. We really liked the free tickets to attractions in town. Someone was always available to answer any questions that we had. Definitely recommend Honeymoon Hills and the Precious Moments cabin. Overall, We had a great stay. The cabins are really cute, cozy and perfect for a honeymoon or anniversary. 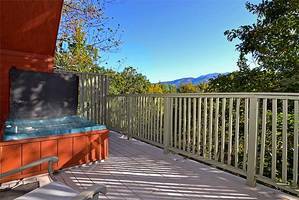 It's extremely close to the Gatlinburg strip and an awesome price for what you get. Already planning our stay for our next anniversary. We loved staying at Precious Moments again at Honeymoon Hills. As always we were very impressed and comfortable with our surroundings. We chose Honeymoon Hills for our honeymoon because they had the most to offer. The staff was very helpful and answered all my questions. We were also married at the Chapel at Honeymoon Hills on October 1st 2016. We were tickled with our ceremony and our cabin. We stayed in Precious Moments. The view was amazing at sun rise. We loved the location and how cozy it was. During our stay we visited the Hatfield & McCoy Dinner Show and the Comedy Barn which was my favorite. We drove through the Roaring Fork Motor Nature Trail. It was absolutely beautiful and we saw lots of varieties of animals. We love coming to Gatlinburg! Everyone is friendly and the views are to die for. We would recommend Honeymoon Hills to anyone. We will definitely be back for our anniversary. We took advantage of the free tickets that Honeymoon Hills offers. We enjoyed our meal at Paula Deen's Family Kitchen the most. We liked walking around downtown and exploring the shops. Thanks so much for making our anniversary trip so relaxing and delightful. We loved this cabin! Precious Moments has a beautiful scenic view and a very private balcony. We were here on our honeymoon and it couldn't have been better. Everything was very clean. While here we went horseback riding, white water rafting, scenic driving and hiking at Grotto falls. We were here for our honeymoon. 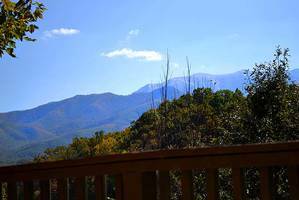 We have visited Gatlinburg many times and this was the best place we have ever stayed. It's very clean and easy to access. We also liked that it was close to town. We will be back very soon. Thanks for making our honeymoon great. Twenty years ago we said I do and came to Gatlinburg for our honeymoon. We stayed in a cabin through Honeymoon Hideaways. So for our twenty year anniversary we wanted to return. When we walked into our cabin, Precious Moments, we were really pleased. It was decorated with love as the mission. We spent lots of time enjoying the hot tub, Jacuzzi and cuddling. We also enjoyed shopping in downtown Gatlinburg and Pigeon Forge. This cabin will always hold special memories of our twenty year anniversary. We hope to come back again. My husband and I wanted to go on a second honeymoon. We had searched through dozens of cabins before we came across Honeymoon Hills. They were exactly what we were looking for. It was an easy place to find with the directions they provided. We arrived early enough to locate the cabin before our check in time. Our cabin, Precious Moments, was beautiful! The view from the back deck was amazing. Everything was just breathtaking. We went to Ripley's Aquarium and it was something I will never forget. We also visited The Comedy Barn, Forbidden Caverns, Smoky Mountain Deer Farm and the Hollywood Star Cars Museum. We enjoyed a helicopter ride over Pigeon Forge. We also took a drive to Cades Cove and were able to see some wildlife. Our favorite restaurants were Big Daddy's Pizzeria, Texas Roadhouse and Happy Days Diner. We will be returning in the future. I would recommend Honeymoon Hills to anyone. They made our stay perfect! The cabin, Precious Moments, was very well presented and comfortable. It was close enough to attractions yet secluded enough for a romantic feel. We enjoyed our stay. This was our first time here together as a married couple. We enjoyed our stay at Honeymoon Hills because of its remote and private qualities. Our favorite attraction was Ripley's Aquarium. We were able to see sea life up close and personal. We suggest going to the Smoky Mountain Deer Farm and Exotic petting zoo. We were able to play with a herd of goats and feed camels out of our hands. We had a good laugh and some good down home cooking at the Hatfield and McCoy Dinner Show. Be sure to take advantage of the xplorie pass that Honeymoon Hills provides. It saves you money during your trip. We loved our stay at Precious Moments. The cabin was in a perfect location away from the hustle and bustle but close enough to get to town easily. The view from the hot tub was amazing. The staff was nice and willing to do as much as possible to make our stay great. We will definitely be back. We enjoyed The Chop House restaurant. We also visited Ripley's Aquarium and used our free ticket. It was definitely worth it! We celebrated our 1 year anniversary in Gatlinburg. Our cabin was magical and perfectly set up. The view from our hot tub on the deck was breathtaking. We enjoyed driving across the mountain and stopping at Newfound Gap. Our favorite was taking the Aerial Tram to Ober Gatlinburg and ice skating for the first time. We will definitely be back! Our cabin was decorated absolutely beautiful. It was very cozy, clean and the view was breathtaking. This is our first anniversary vacation and words can't explain how amazing it was. My husband and I were in need of a relaxing couples getaway and Precious Moments was just perfect. It was private and had beautiful views. We loved walking in to music playing on the television. Everything was set up for romance right down to the tray of wine glasses on the bed and towels folded into swans. Every little detail just added to our wonderful vacation. The complimentary tickets Honeymoon Hills provided was great! We loved Legacy Mountain zip lines! We were new to zip lining and we had so much fun on those high courses. We always enjoy dinner at the Dixie Stampede when we come to Gatlinburg. This was our first time staying with Honeymoon Hills but it will not be our last! We are already planning our next stay. We would like to thank Honeymoon Hills for such a spectacular experience. We didn't know what to expect when we arrived at our cabin but our reaction was better that we expected. Every single thing was spick and span clean. It looked like no one has ever cooked or stayed there. Our first thought was that the cabin must be brand new. Our view was beautiful from our balcony and the fireplace adds a nice touch to the cabin. It's very spacious for two people. This was our one year wedding anniversary and Honeymoon Hills made our experience in Gatlinburg perfect. 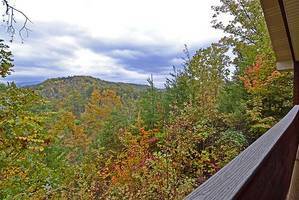 We drove up the mountain to the Tennessee / North Carolina state line for some breathtaking photos. Going back to a warm, cozy cabin topped off the day. We will be back soon! Our cabin was fantastic! We felt as if we were on a second honeymoon. It was very clean, cozy and comfortable. We loved the exposed wood, decorations and the phenomenal view. 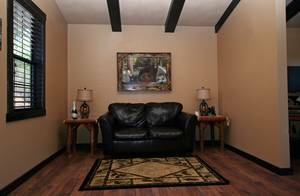 The location was perfect and very private. We will be back! We are here celebrating our honeymoon in Gatlinburg. We stayed 4 nights in our cabin. When we walked in we were blown away from the style, cleanliness and especially the view. I personally have a hard time sleeping away from home but I felt very comfortable in this cabin. We also faced one of our fears by riding the Sky-Lift and the Aerial Tramway. The views we saw of the mountains and downtown Gatlinburg were breathtaking. We rented a side by side and went to Cades Cove. I wish we had more time to spend watching the deer in the fields but we ran out of time with our rental. Dixie Stampede is a must. It was extremely fun cheering and watching the show. We will have to return to Gatlinburg because unfortunately, we didn't get to see any snow. 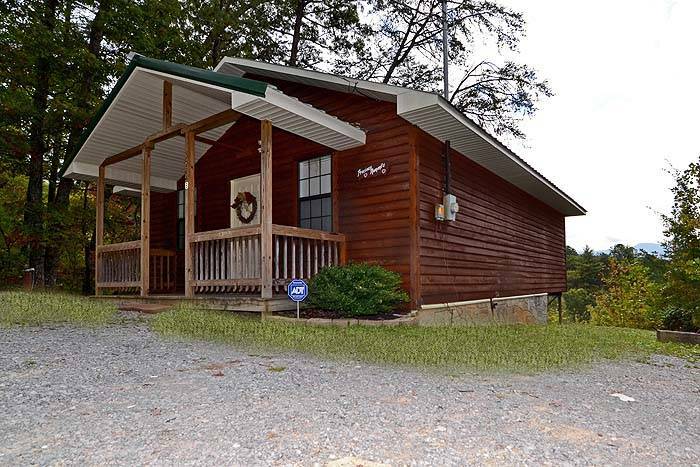 My wife and I have wanted to rent a cabin for quite some time when we found Honeymoon Hills online. We booked Precious Moments and when we arrived it was amazing. Everything was as perfect as I had hoped. The cabin was warm, inviting and just plain relaxing. 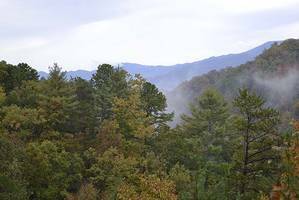 We enjoyed the close proximity with downtown Gatlinburg and Pigeon Forge. We did many things while staying in Gatlinburg and would gladly do it again next year. When we walked in for the first time our jaws dropped. This cabin was wonderful. It smelled so new that we thought that it had just been built. The view from the back deck is stellar. We could sit back here for hours. 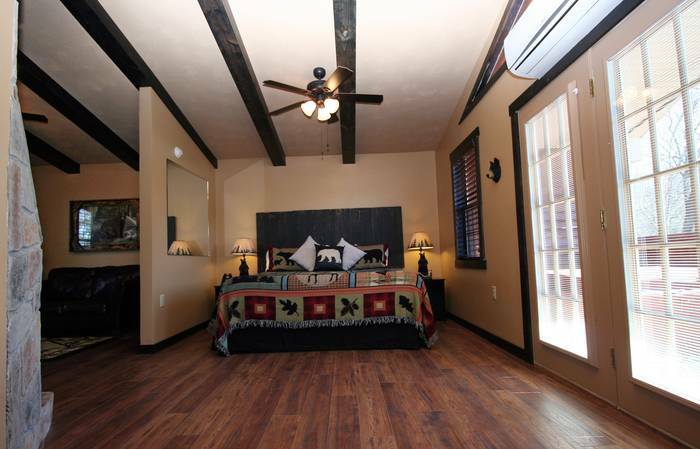 I highly recommend this romantic cabin for couples that are head over heals in love! This is our second time staying at Honeymoon Hills and we didn't think it could be better than last time--but it was! We have made it a tradition to come every year for our anniversary. This year on the Sky Lift my boyfriend of 4 years asked me to be his wife. I of course I said YES! We can't wait to come back to this beautiful cabin to relax and celebrate. The view, hot tub and the whole atmosphere of being here made this even more special. We are planning to stay here for part of our honeymoon. 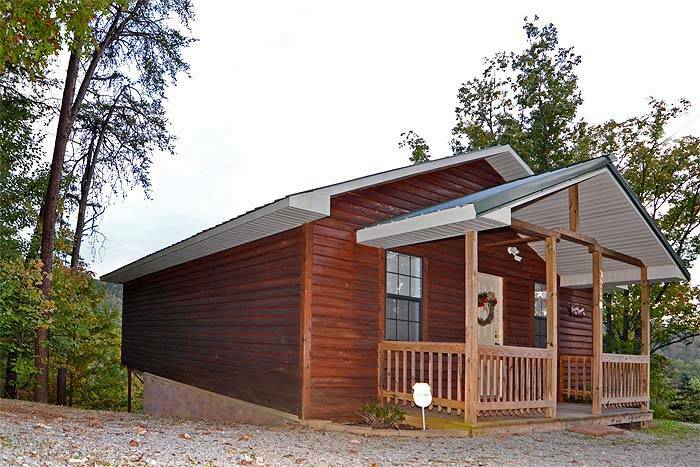 So thankful for Honeymoon Hills and these beautiful cabins that are perfect for any occasion. We loved how clean it was. Everything was wonderful. Only complaint is that it's too far from home! I hope we can make it back someday. Cabin was very clean and comfortable. This was our second time staying with Honeymoon Hills with no issues. Staff checking in on us is very nice. Our stay was very relaxing and enjoyable. We came to Gatlinburg to get married and have a private ceremony just for the two of us. It was perfect! We have never been here before but plan to come back soon to take in more sights and have more relaxation. We got married and stayed in Precious Moments for our honeymoon. The cabin was beautiful with a beautiful view. We enjoyed our stay in Gatlinburg. We walked around at night to see all the beautiful lights and rode the Sky Lift in downtown Gatlinburg. We came here to celebrate our 10 year Anniversary. We decided 10 years of marriage deserved something special! We usually stay at our timeshare when we're in Gatlinburg. We booked Precious Moments and fell in love with this cabin as soon as we pulled up. 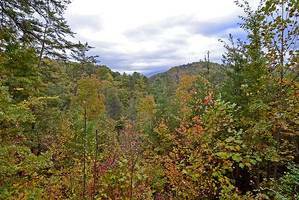 We loved the secluded area and the great mountain views. We loved the layout and the size of the cabin. We will definitely be recommending Honeymoon Hills to our family and friends who all come to Gatlinburg frequently. We will definitely return and look forward to the next visit. We will continue to use our timeshare for family trips but will come to Honeymoon Hills for our alone time. We absolutely loved the location and the quiet. The best part is that if you decide to go out everything is close but if you decide to stay in everything is there. We love coming to the Smoky Mountains for the environment. We love to eat at Pancake Pantry and go to Dollywood. There are so many things to do that you can always find something new to start an adventure. We will definitely be back and will recommend Honeymoon Hills to all. We will definately give other reviews as soon as we can so people can enjoy their time and create their own memories!!!! Thank you for making our 10 year Anniversary special! Hills and our honeymoon at their Precious Moments was perfect! No other words can describe! The cabin was the pefect getaway for a romantic time for two. 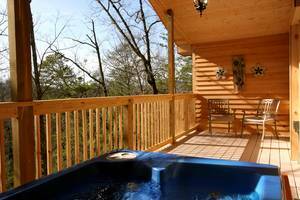 I highly suggest the cabins with the outdoor hot tub....worth the extra money. The staff are super friendly and helpful. Thank you to the staff at Honeymoon Hills for making our day perfect. We will see you all next year. My husband and I have been going to Gatlinburg and staying at Honeymoon Hills for several years. We even got married at the Chapel at Honeymoon Hills. We have always met courteous staff and in the rare event there has been any problems, it was taken care of immediately. We go at least twice a year. We’ve stayed in Memories, Heart’s Desire, Garden of Eden, Mountain Magic, Midnight Fire, Precious Moments and Splash Happy on the Creek. I would highly recommend this place for private cabins. 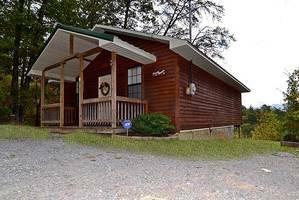 We usually go just the two of us and stay in the smaller "honeymoon" cabins (we even have a favorite), but when we have taken our girls, we stay at the cabins by the creek. We have all enjoyed the stay. Highly recommend! The cabin looks amazing. I got the honeymoon package with the balloon bouquet and it was done so well. We had a very small informal wedding without a wedding cake, but much to our surprise you all provided one for us. My wife cried, LOL. We just got here and I can tell we're gonna have a blast!!!! Thanks for everything! We first stayed at Honeymoon Hills when we were married at the Chapel at Honeymoon Hills. We returned later for our Anniversary. We originally stayed in Love Nest. Precious Moments is even more remote and secluded. At first we didn't think we would like a different cabin but it turned out to be just what we needed. 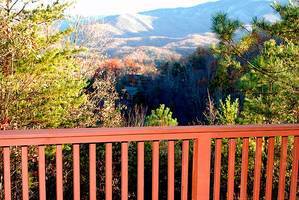 A very quiet, peaceful mountain get-away with beautiful views yet still close to all the shopping, attractions and restaurants. Thanks for giving us a wonderful place for our wedding, honeymoon and anniversary memories! I just found the place to write a review. 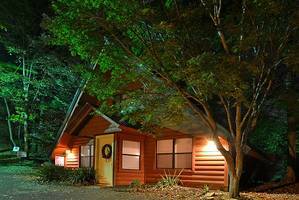 We have stayed in several of these cabins and always have a great time. The cabins are close to everything we like to do, are spotlessly clean and the staff is always helpful! We will definitely return! My husband and I came to Gatlinburg to celebrate our honeymoon. 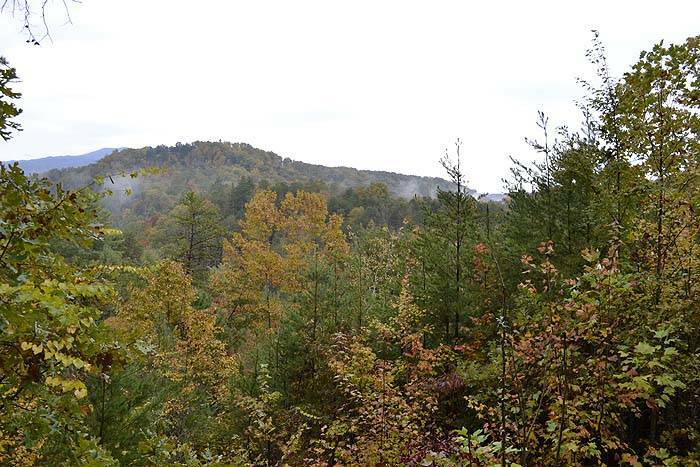 We were so glad we chose to stay at Honeymoon Hills cabin called Precious Moments. We loved the cabin so much. In fact, 80% of our time was spent at the cabin relaxing and spending time with one another. The bed was so comfortable and cozy. 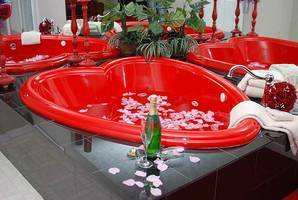 My husband loved the heart shaped jacuzzi. We will definitely be returning for our anniversaries to come. Our honeymoon was amazing! We had the most amazing view! The settings and the location was great. We will be back for our anniversaries. We just hope we can get the same cabin each time we return! The cabin and wedding ceremony were all very romantic and beautiful. Thank you Honeymoon Hills for a great time and wonderful vacation/wedding. We absolutely loved this cabin! We were very close to downtown, yet had our privacy. The cabin was very clean. This weekend was relaxing and exactly what we needed. I want to personally thank Jeanie for being so kind and helpful with my reservation. She also was very knowledgeable with my questions about attractions in Gatlinburg. We will be back soon, thank you so much! Loved it! We decided to come to Honeymoon Hills to spend a few days and have a private wedding ceremony. Excellent choice! Everyone at Honeymoon Hills was so welcoming & friendly. The staff was so helpful. Our wedding ceremony was perfect. Our minister, Dan Netherland held a wonderful ceremony with kind words. The photographer was excellent. Our cabin, Precious Moments, and exactly that it was! Everything was so beautifully prepared. We will definitely be coming back. This is second year that we have stayed at Honeymoon Hills and found it was again just as delightful as the first time that we stayed. We enjoyed the cleanliness and the tranquility of the surroundings. We will most definitely be returning here again next year! We returned to Honeymoon Hills for our first anniversary. We got married at Chapel at Honeymoon Hills April 21, 2011. Everything and everyone was fantastic. Honeymoon Hills holds a very special place in our hearts. 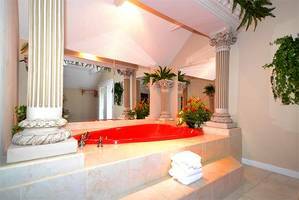 This is a fantastic place for any couple! I loved it here and I will be back every for our anniversaries and just getaways. Thank y'all for being a big part of our happiness. I must say this was by far the best weekend getaway we have ever had! The cabin was perfect for not only newlyweds but for a couple like us who have been married for 30 years. This made us feel like newlyweds again! Thank you so much for sharing this perfect cabin. My husband and I got married at the Chapel at Honeymoon Hills in April. The staff was so wonderful and nice to us. We stayed in the Mountain High cabin for our honeymoon. It was so special. It was very cozy, very warm and comfortable. While we where there, we enjoyed ourselves so much we decided to return in September. We stayed in Heart's Desire. That was a really great cabin too because it was on the very end of a dead end road out away from everyone. That's what I love about Honeymoon Hills--your stay is very comfortable and very private. This was our one year anniversary and we stayed in Precious Moments later. It was fantastic. I was sad to leave but we will return again for sure. Thanks to the staff at Honeymoon Hills. We always have a great time! Honeymoon Hills is a place I've recommended to everyone that I have told about our wedding and honeymoon. We loved it & plan on coming back. We didn't want a big wedding. We preferred it just be the two of us. Dr. Netherland had very kind words & walked us through the entire ceremony. The photographer was excellent with her photography & made us laugh. Guest Services let us know that if there was anything that we needed to let them know for help right away. Throughout the plans that we made, I called several times & spoke with Jeanie & Laurie. Both we very patient & very helpful with the planning of our wedding and honeymoon. Our Cabin was Precious Moments. It was perfect. Everything was so very beautiful. Although we were just there, I am already making plans to bring our entire family back this summer. Tennessee is a breathtaking place. I love that anywhere you go the people are so friendly & helpful with everything. Thank you all for such a wonderful experience that only one can experience to know what it's like!! 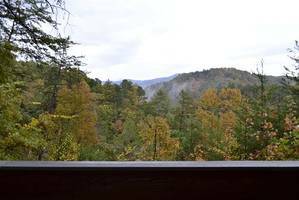 My husband and I just wanted a weekend getaway in a Gatlinburg cabin. 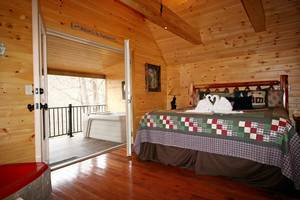 Honeymoon Hills does a great job in making the cabins perfect for any occasion. Very romantic! Also, their customer service is great! Every time I have talked with someone at Honeymoon Hills Cabin Rentals they were always extremely nice. I will be recommending Honeymoon Hills to my family and friends! This made our fourth year staying at Honeymoon Hills. We celebrate our anniversary and my birthday. We love the beauty, the quiet and the cleanliness of these cabins. 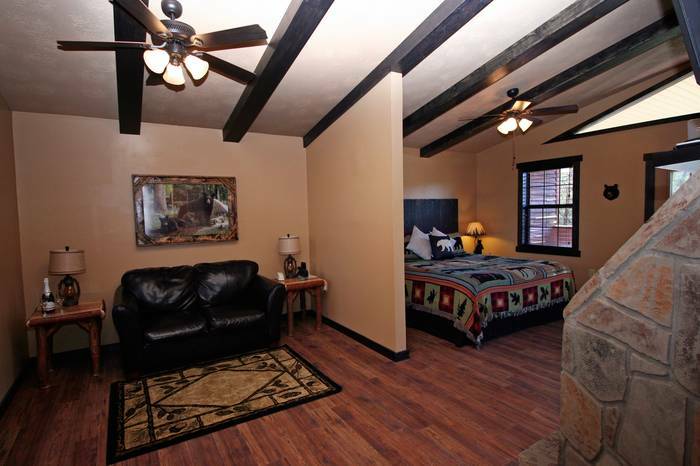 We always look forward to coming and enjoying your lovely cabins. Once again, thanks for a nice and lovely escape! WE ELOPED! We loved Gatlinburg and Pigeon Forge. The cabin Precious Moments was very cozy and clean. Honeymoon Hills staff was very helpful and welcoming. We took advantage of the free tickets! All five attractions were a hit with us. The Lumberjack Feud Show and Ripley’s Aquarium were the ones we enjoyed the most. We also went to the Hatfield and McCoy’s Feud and got in many laughs. 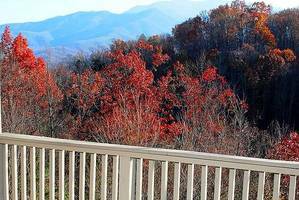 Coming together as one in the Smoky Mountains was really relaxing, stress-free and romantic. We trusted Honeymoon Hills with everything and they did a wonderful job. After celebrating marriage and a mini-honeymoon we plan to come back and spend our anniversaries. We went to Gatlinburg for our honeymoon. The cabin was so beautiful and immaculate. 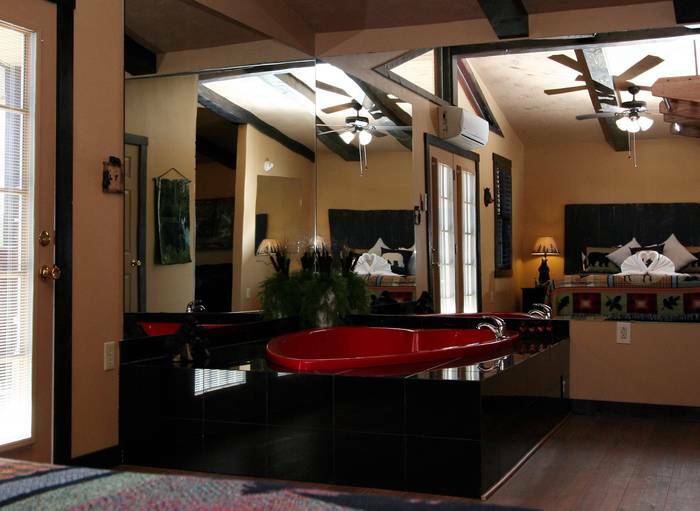 We really enjoyed the hot tub and heart shaped jacuzzi tub. 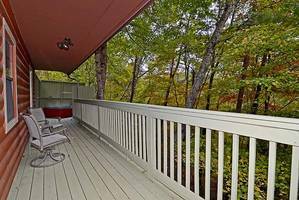 We also enjoyed walking through downtown Gatlinburg but most of our time was spent at our cabin Precious Moments--our own little paradise! The hardest part about our trip was leaving to go back home. We hope we can return cry soon to celebrate our anniversary. We would highly recommend Honeymoon Hills to all of our friends. We were unable to take our honeymoon right after we got married last August. We decided to go on our honeymoon after we had been married for almost a year! Precious Moments cabin was more than worth the wait. 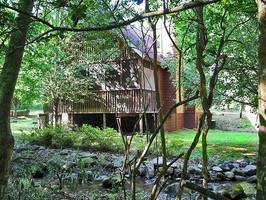 Our cabin was so secluded and romantic yet a very short drive to downtown Gatlinburg. The cabin was just like the pictures we saw online. We loved the hot tub on the back porch. This was the perfect spot for our honeymoon. We had an excellent time there. Precious Moments was a beautiful cabin with good mountain views. We definitely plan on going back and highly recommend for everyone. Thank you so much! As our journey began, we knew this trip would be an adventure! We left Birmingham, AL with our packed sandwiches in hand out of shear excitement. As we approached the beautiful Smoky Mountains our excitement did not curb. The winding and historic roads of the quaint village led us to the enchanting cabin Precious Moments. As the name suggested, every encounter found in the whimsical cabin can be experienced. From a rustic fireplace, romantic lighting and steamy bath to a breathtaking mountain view of the Smoky Mountains, every moment was priceless. Moreover, our entire trip had moments that will never be forgotten. During Whitewater Rafting at Smoky Mountain Outdoors, we plunged down grade 4 rapids and had close encounters with the wildlife! To continue to romanticism, we tasted wine at the Sugarland Cellars Winery and continued on the Rocky Top Wine Trail throughout Gatlinburg, Pigeon Forge, and Sevierville, After exploring the amazing sites and shops, we cooled down and feasted at Dixie Stampede where music, stunts, and patriotism collide. The Dixie Stampede is a must see performance. 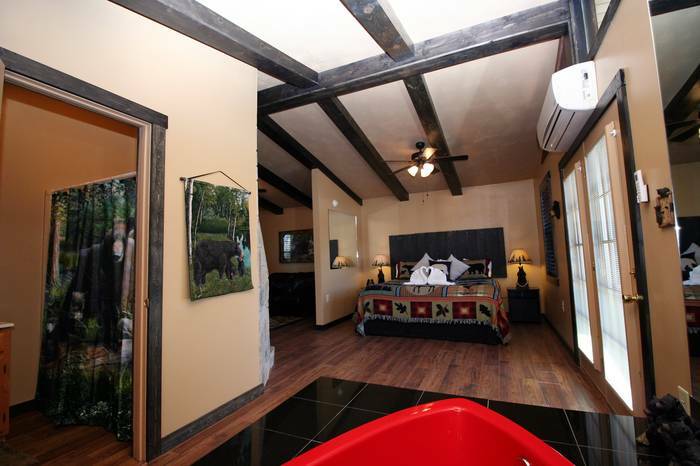 After all our tourist activities were done, a stream of relaxation surrounded us at the Precious Moments cabin. There we delved into a peaceful and tranquil state as the starry night blanketed above us. Only adventure, relaxation and vital moments awaited us for the remainder of our stay! I loved how sweet and cozy the cabin was, just perfect for the two of us. 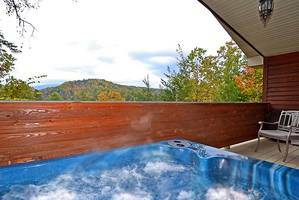 The outdoor hot tub was very nice and the mountain view was breathtaking. We are already considering returning for our anniversary. Thank you for the amazing honeymoon. We had the most precious moments (hence the name)! We truly enjoyed our stay. Precious Moments was perfect for a couple. Clean, nice and private. Thanks so much! We loved the cabin Precious Moments! It was very nice inside, very welcoming and very comfortable. We also really liked the location of the cabin. 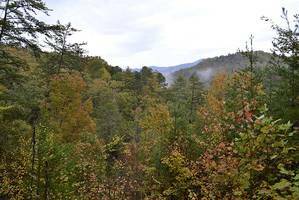 My husband loved the many attractions in Pigeon Forge and I loved all of the Galleries in the communities. When we arrived at the cabin we were so surprised with how good it looked! The first day was a lazy day for us which included shopping at Tanger Outlet Mall. I have a tip for you: the Pancake Pantry was the best breakfast around but you have to get there EARLY! We also went to Wonderworks and Hillbilly Golf which were fun actives to do as a couple. We had such a great time at Honeymoon Hills. We give you 5 stars! Thank you! We went to Gatlinburg to get married! The cabin was Precious Moments. It was immaculate! The outdoor hot tub was awesome, already warm and ready for us. The mountain views front he cabin and pretty much anywhere you went was breathtaking. I couldn’t stop taking pictures. We went to Ripley’s Aquarium, took a ride up the mountain on the Tram and visited the Hollywood Wax Museum and countless little shops. I hated to leave, we had a blast! Loved that ‘Southern Hospitality’! What an amazing weekend! We went to Gatlinburg to celebrate our 32nd wedding anniversary and could not have chosen a better location. We loved the Precious Moments cabin because it was close to Gatlinburg and Pigeon Forge but feels like you are hundreds of miles away because of the beautiful mountain views and the privacy. What awesome mountain views every morning as we went about our day. We couldn’t wait to return to the beautiful cabin. 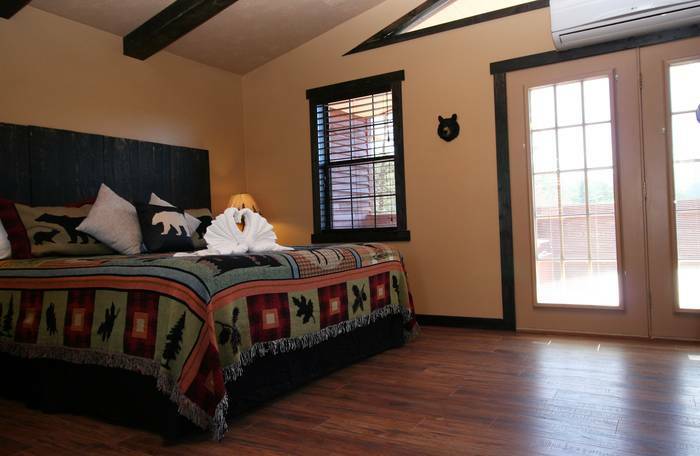 The cabin was very clean, romantic and again the beautiful mountain views were spectacular. We’re already planning to return next year. Love, love, love! The Precious Moments cabin was very clean and had a beautiful mountain view. It was very peaceful and secluded. We enjoyed the endless mom and pop shops and the Lumberjack Feud Dinner and Show. 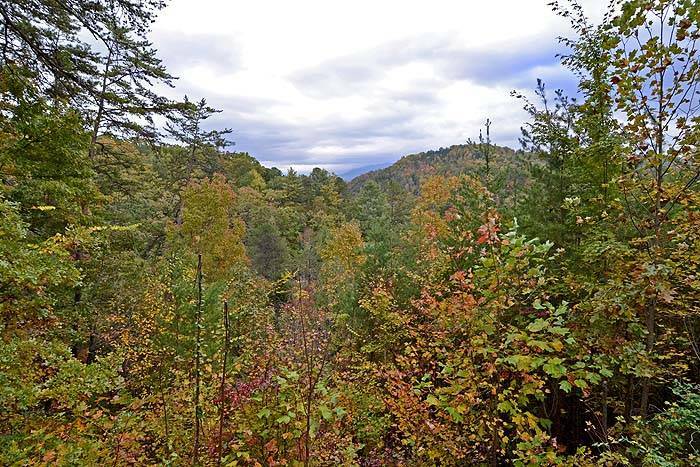 Things to do in Gatlinburg were endless. The people were very friendly and made us feel at home. Honeymoon Hills staff were super nice! They made us feel like part of the family. We decided to get married while we were there and the Honeymoon Hills staff was so helpful. The wedding was absolutely perfect. Our cabin was very romantic and we really enjoyed staying there. I would recommend Honeymoon Hills to anybody who wants a beautiful, yet simple wedding. We just got married and went there for our honeymoon! We had a great time at Precious Moments cabin. We had a blast shopping and enjoyed everything! We had a wonderful time staying at Precious Moments at Honeymoon Hills. The mountain views from the cabin were spectacular. We will be recommending this place to all of our friends. Thanks for the hospitality. It was simply amazing!